Dr. Hassana Ibrahim graduated the medical school from the Yale University. She did her internship at the Harbor-UCLA Medical Center and completed her residency program at the UCLA Medical Center. She is specialized in radiology and board certified in radiology and board certified in diagnostic radiology. 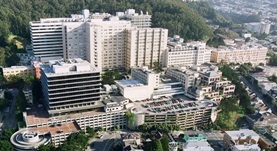 Dr. Ibrahim has been in practice for more than 6 years and is affiliated with the UCSF Medical Center. During her career, she has also contributed to 1 publication of medical interest. Dr. Hassana Ibrahim has contributed to 1 publications. Microbial pollution indicators along the Egyptian coastal waters of Suez and Aqaba Gulfs and Red Sea. Ibrahim, H. A., Farag, A. M., Beltagy, E. A., El-Shenawy, M. A.; J Egypt Public Health Assoc. 2011.